When I was a teen I battled depression and had suicidal thoughts. Today I am a mother of a teenage girl who is also struggling with depression and self esteem. When you read the headlines in the newspapers they are all the same. They are full of stories about unstable teenagers, bullying, teen suicides, and teens with substance abuse problems. The new book, “Behind the Mask, Adolescents in Hiding,” by high school crisis counselor Dennis Rozema offers advice for troubled teens through sharing real life stories written by teenagers. Through the passages in this book you learn more about the adolescent mind to help teens and their families overcome issues like, depression, anxiety, addiction and suicidal thoughts. I found the stories very touching and after reading this book I have a better understanding about the mind of my teenage daughter. Rozema was inspired to write the book after receiving the journal of a former student who had recently committed suicide. She wanted the journal to be passed to Rozema, her former crisis counselor and shared with other teens upon her death. “Behind the Mask,” is a valuable resource for troubled teens and family and friends of those adolescents. 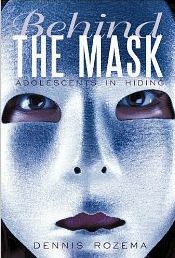 You can purchase “Behind the Mask: Adolescents in Hiding,” by Dennis Rozema on Amazon.com, BarnesandNoble.com or at your local book store. *Disclosure: I received a copy of “Behind theMask: Adolescents in Hiding” by Dennis Rozema in exchange for this review. All opinions are accurate and 100% mine. Depression is one major reason why certain individual will commit suicide. All we know this condition is very tricky, we can feel very down and low and we think there is no hope for us. there is nothing wrong if we seek help during this time, in fact seeking help is one best thing to do if we cannot handle anymore the situation, if we have a weary and confused mind, despite our family and friends are always there, willing to hear from us, we just need to open up ourselves. Roger, yes depression is tricky. If you or your loved one is depressed the best thing to do is seek help. Thank you for stopping by and leaving us a comment.